NYC Service, a division of the Mayor’s Office, administers three AmeriCorps programs with members serving 10-12 months with community-based organizations or City agencies. 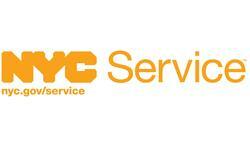 NYC Service promotes volunteerism and service as a voice, a catalyst, and a capacity builder. We convene and connect volunteers and national service members with City agencies and community-based organizations to create and strengthen volunteer and national service programs that focus on education, economic opportunity, environment, health and emergency management. The long-term impact of NYC Service is empowered organizations and residents who continuously seek to address and improve the quality of life for all New Yorkers. Both individuals served and those who serve benefit. City Service Corps unites a diverse group of professionals to serve full-time with City agencies, working to address community needs. NYC Civic Corps builds volunteer capacity and volunteer management systems with community-based organizations and City agencies in New York City.